The newly expanded eDeaf Training Center in Berea, KwaZulu Natal, in South Africa opened in July 2018. The project engineer chose Penetron crystalline products to counter the effects of high groundwater and add a substantial level of durability to the treated concrete structures. 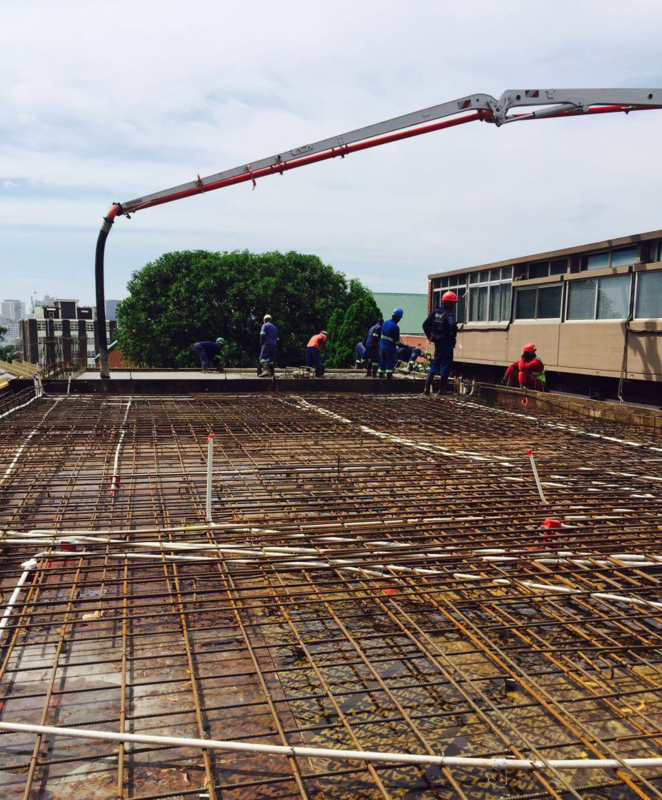 Pouring on protection: The PENETRON ADMIX-treated concrete ensures the floor slab at the new eDeaf Training Center in Durban (KwaZulu-Natal) is durable and will last a long time. Penetron provided an optimal and environmentally friendly solution to waterproof the new eDeaf annex. The ease of application and enhanced durability of the concrete will preserve the structure for decades to come. Established in 2007, the eDeaf Company provides training courses and programs to help prepare deaf students to compete in the South African job market. The company’s staff of 50 (a majority are deaf) operate from four eDeaf training hubs throughout South Africa. “Our growth and success are due to our holistic services approach in providing continuous support to companies that have employed deaf people,” says eDeaf COO Jesse Kotze. The eDeaf Training Center in Berea, a suburb of Durban in the province of KwaZulu-Natal, outgrew the previous premises and needed to expand. The resulting construction project, designed by Africo Architecture of Waterfall, Kwazulu-Natal, added a two-story annex, which provides two new training studios and a large recreational area with a rooftop tea garden. The training studios are on the lower level and one outer wall is a concrete retaining wall exposed to the elements – and groundwater. Miramar Construction, the project contractor, used PENETRON ADMIX to treat the concrete used for the lower level retaining wall and foundation slab and the upper level floor slab. PENEBAR SW swellable waterstop strips were also used in the retaining wall and the upper level floor slab. Tie holes and miscellaneous voids, cracks, bug holes and honeycombed areas were repaired with PENECRETE MORTAR and a surface application of PENETRON crystalline slurry. Because water and waterborne contaminants penetrate concrete mainly through capillary absorption and hydrostatic pressure, countering this problem demands a “molecular level” solution. The active ingredients in PENETRON ADMIX result in a catalytic reaction with moisture in fresh concrete that generates a non-soluble crystalline formation throughout the pores and capillary tracts. These crystals permanently seal microcracks, pores and capillaries against the penetration of water or liquids from any direction. 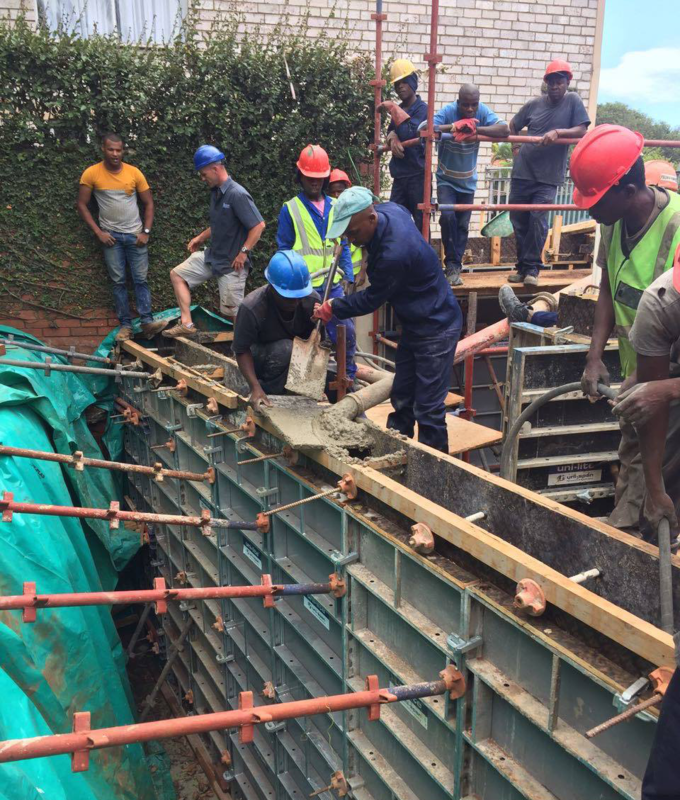 The Center will hold: The outer retaining wall of the new eDeaf Training Center in Durban (KwaZulu-Natal) gets the PENETRON ADMIX treatment to ensure no groundwater gets through. Rust never sleeps: Preventing corrosion of reinforcement steel is a crucial aspect of concrete durability. 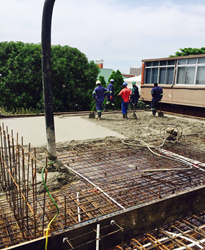 Concrete dosed with PENETRON ADMIX ensures huge reductions in concrete permeability.